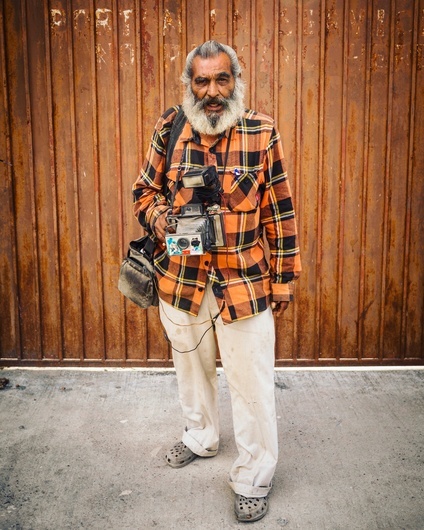 He's a street photographer and fortune teller in Nuevo Progreso, Mexico. We met at a taco cart when he offered to take my photo and tell me my fortune. How could I say no?! After my reading and photo, we took a few steps away to this metal gate that perfectly matched his shirt and snapped this portrait. Best tacos I've had in years. So tell us, if you would, what was your reading? Pretty good pic and story! 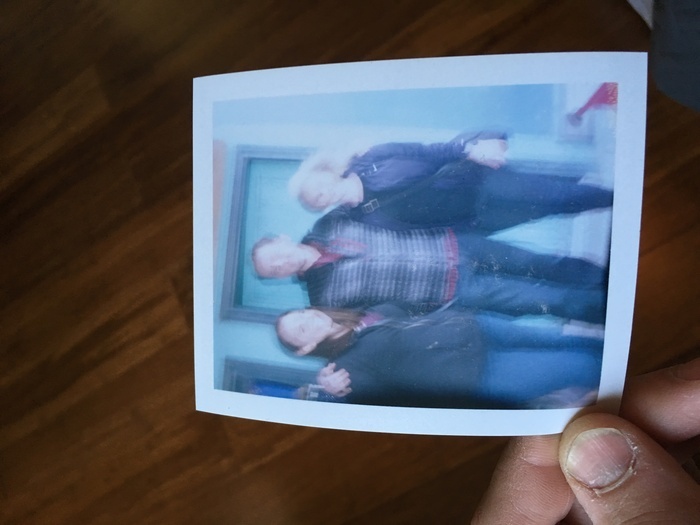 I wish... my portrait was a blur. He dragged the shutter after the flash.